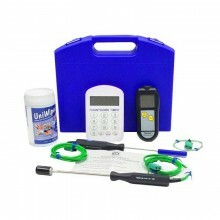 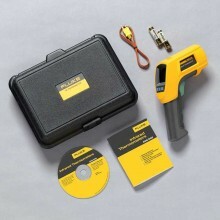 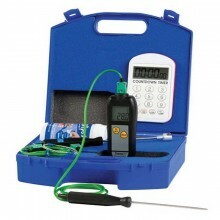 Includes: Fluke 369FC Leakage Clamp Meter, Soft case, Safety manual, Batteries: 2 AA. 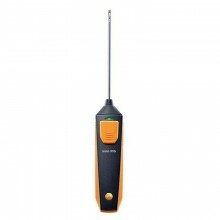 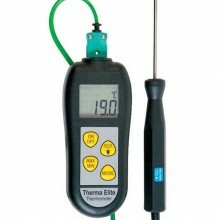 The KM330 Industrial Thermometer is a value for money, electronic Type K thermocouple thermometer for checking temperatures in industrial applications plus those in heating, ventilating, air conditioning and refrigeration. 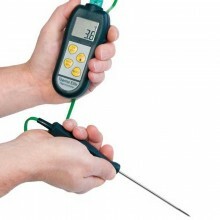 The KM330 Industrial Thermometer (made by Comark) is a single input thermometer with a wide range of applications. Users can select readings in °C of °F and high or standard resolution to suit their requirements. 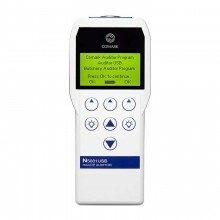 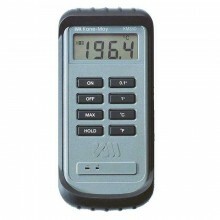 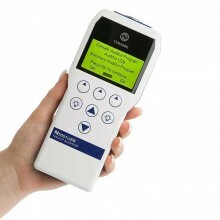 Hold and Max functions are provided, to freeze the last reading on the display and to record the maximum value. 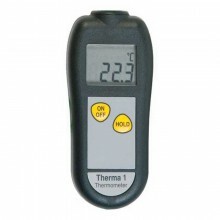 Displays temperature in °C or °F. 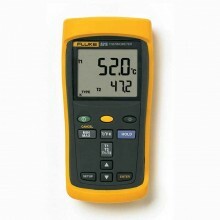 Hold function to freeze displayed reading. 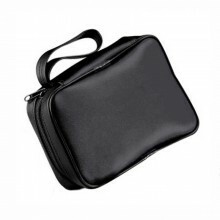 Protective slip-on boot with desk stand. 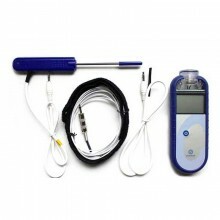 Temperature Measurement Range -50°C to +1300°C / -58°F to +1999°F. 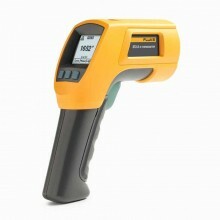 Selectable 0.1/1° Resolution 0.1 only up to 199.9°C. 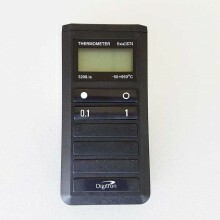 ±0.2% rdg +2°F: +32°F to 1999°F. 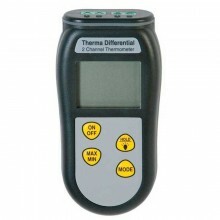 Temperature coefficient including Cold Junction ±0.01% rdg ±0.04°C per °C change from +23°C. 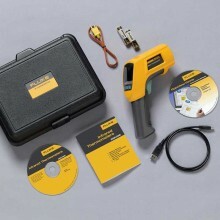 Update Rate 2.5 times per second. 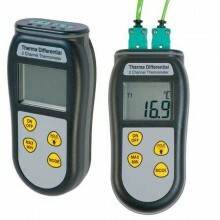 Ambient Operating Range 0°C to 50°C / 32°F to 122°F. 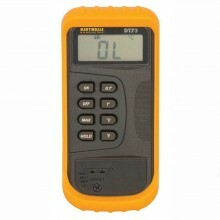 Battery Standard 9V PP3 battery (NEDA 1604, IEC 6F22). 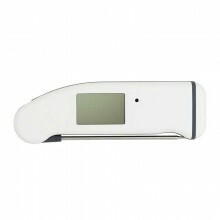 Battery Life 200 hours typical with ALKALINE battery. 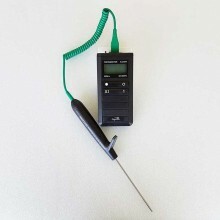 Dimensions (Instrument) 174xx(H) x 70mm(W) x 39mm(D). 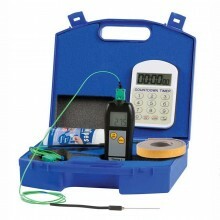 Weight Instrument 210g / 7.4oz, Protective Boot 133g / 4.7oz. 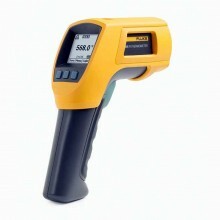 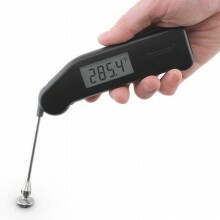 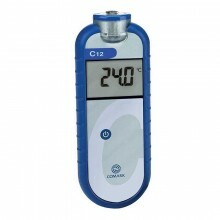 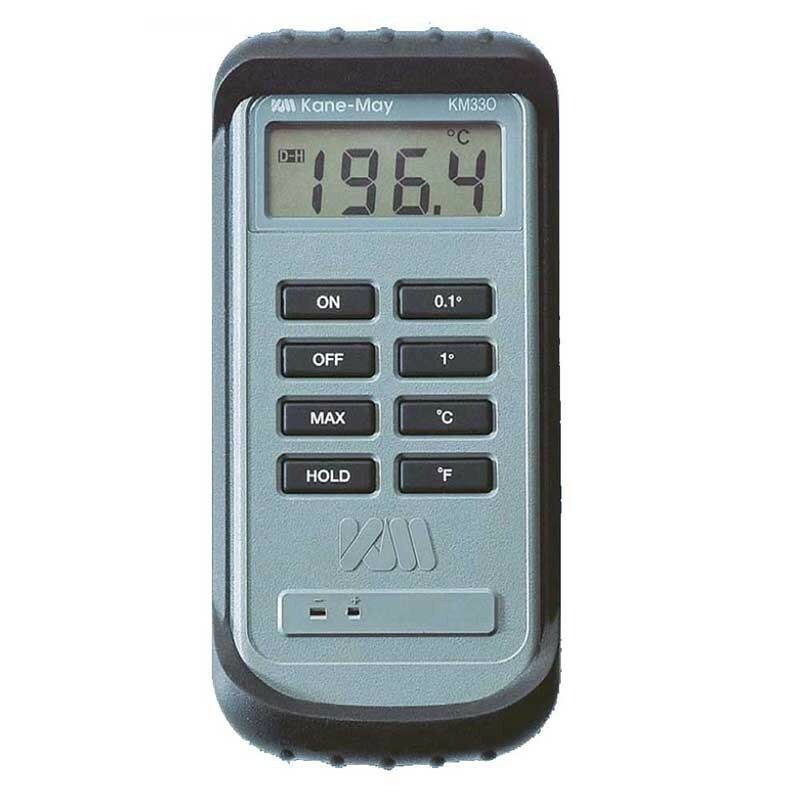 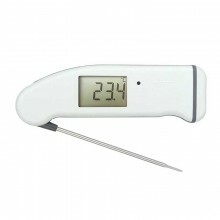 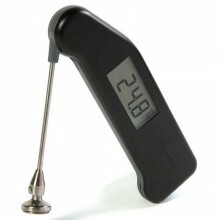 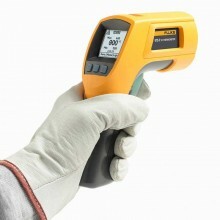 PDF Specifications of the Comark KM330 + 340 Industrial Thermometers.